But, as a result of all the rich food, I thought I should probably prepare a dinner on Sunday that was a little more plant-based. 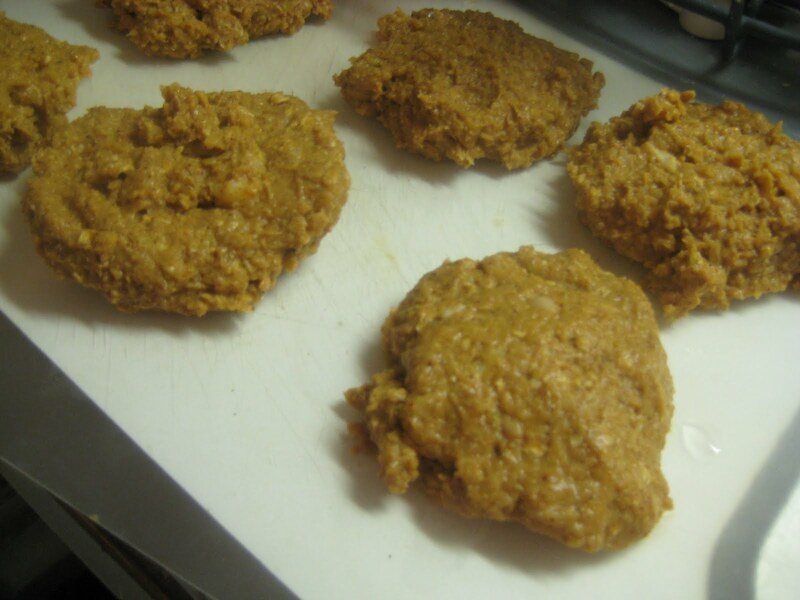 I decided I wanted to try my hand at making my own veggie burgers! These were incredibly simple and provided me with dinner on Sunday night, and lunch for the entire work-week. I also had 2 extra that I was able to put in the freezer for a quick lunch or dinner in the future....I might be inclined to pull these out to eat next week...After all of the gluttony of the REAL Thanksgiving weekend starting tomorrow! I adapted this recipe from Mark Bittman's 'How to Cook Everything'. 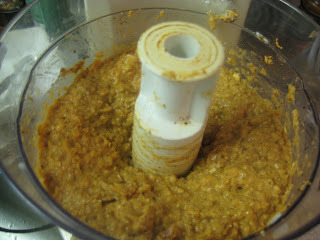 I want to continue to work with it before I provide my adapted recipe. I think that with the relatively mild flavor of the beans, that there is a lot of room to experiment with different flavors and additions. 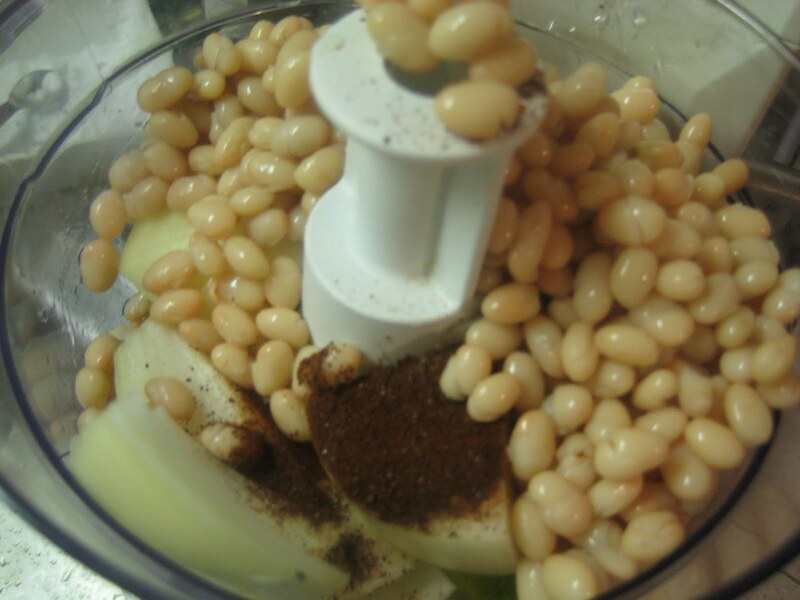 Though I am not ready to post the exact recipe yet, I can give you the basic idea...Dump a can of beans, some aromatics, seasonings and a little veggie broth and a binder into the food processor. Mix everything on pulse until just combined, but still a little chunky...Let it rest for a few minutes. 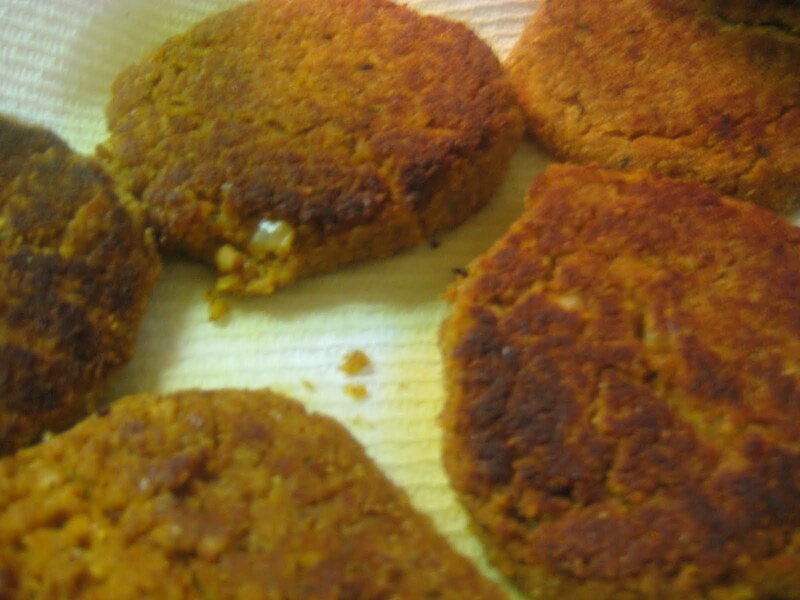 Form into patties, then rest again. 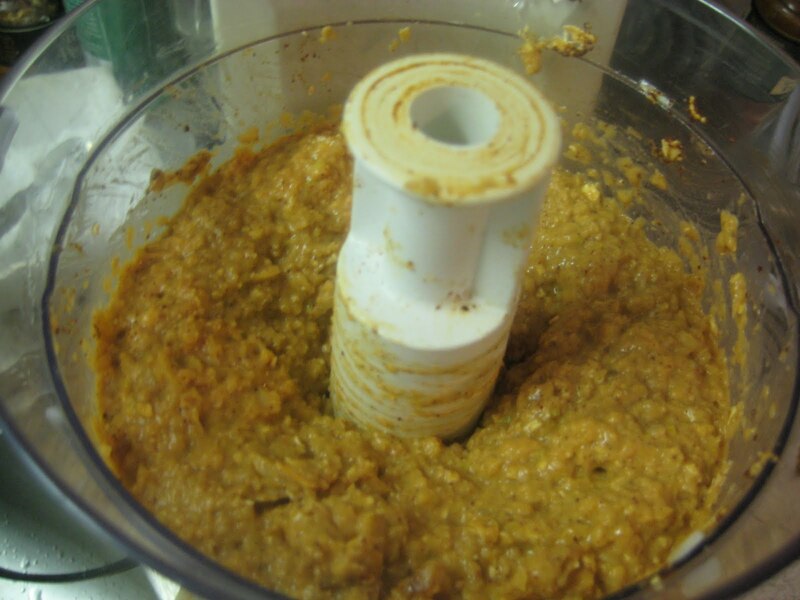 Here is the part I am still working on - I need to make them stick together just a little bit better - more oatmeal or breadcrumbs in the mixture. It was just a LITTLE too wet. 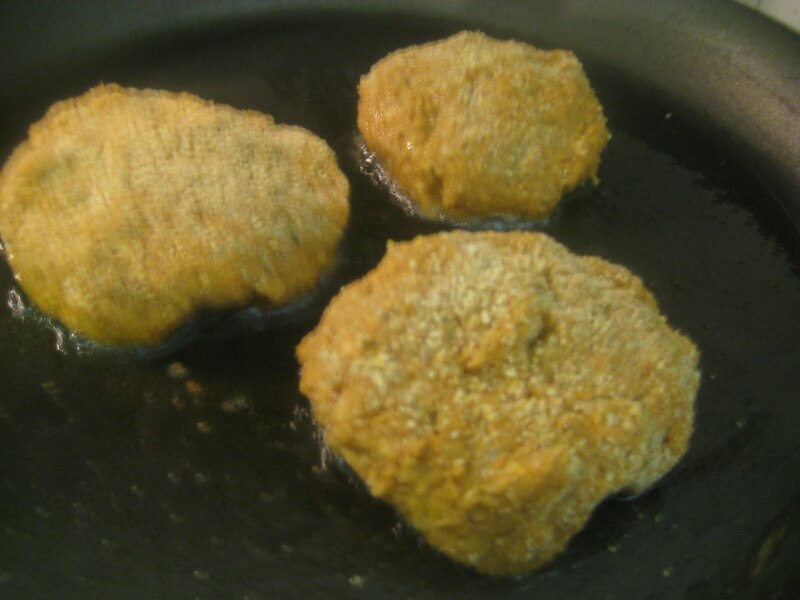 I pan fried the patties in just a little bit of oil, in a nonstick pan. They are very delicate, so flipping them is a little difficult, but I managed not to break any! I added some sharp cheddar to one patty, and put it on an arnold sandwich thin to act as the bun. 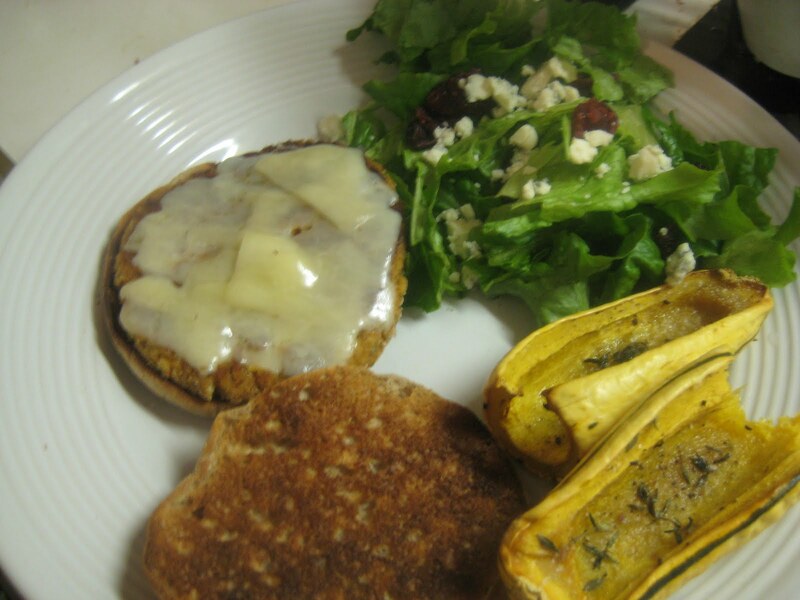 I made it a meal with a salad and some roasted delicata squash. I topped the burger with ketchup and red-hot. It was moist and flavorful, but the outside of the burger had a slight crunch from the breading and pan frying. The bean burgers kept pretty well in the fridge, and provided me with yummy lunches throughout the week. For lunch I warmed the burger in the microwave, then put it on an Arnold sandwich thin with some mashed avocado and red hot. YUM! Can't wait to try this again with some different seasonings!